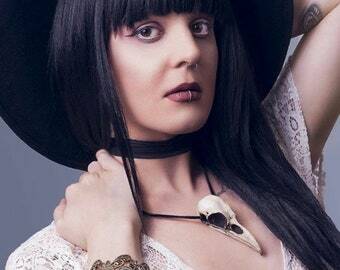 Bird Skull Necklace: 2.75" Resin Raven Skull (Aged Finish) with Black Chain. Cast of durable urethane resin from a real raven skull and then shrunk down to a small size (the original skull was 3.5" before it was shrunk down to this 2.75" size). 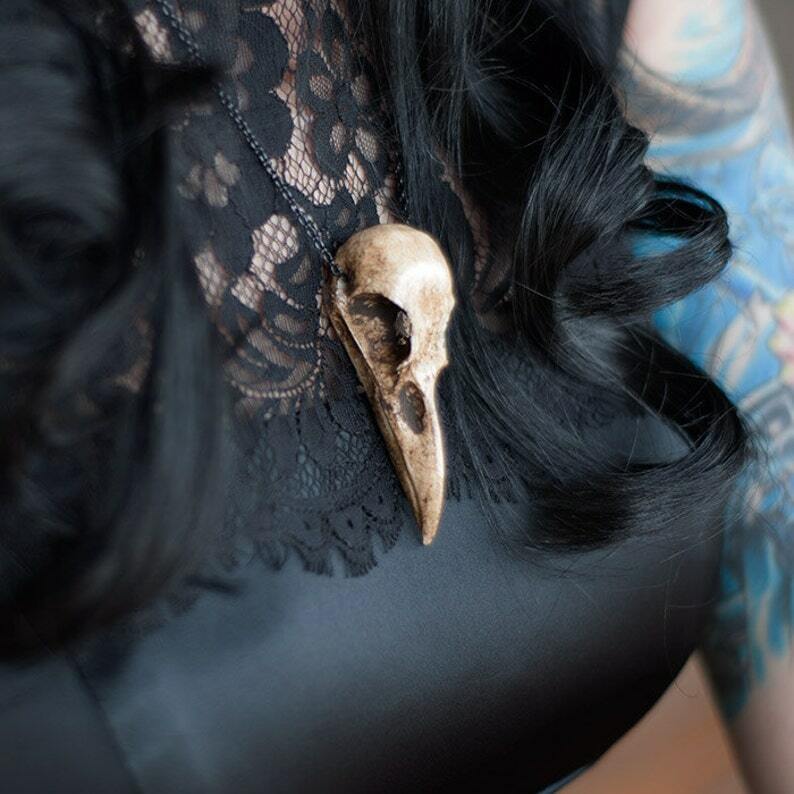 All of the same fine detail and proportions are captured in the mini version of this beautiful raven skull. Looks just like the real thing. These are hand made, lightly sanded, and painted to get an aged finish look. Due to the nature of handmade work, there might be a slight variation with each item.